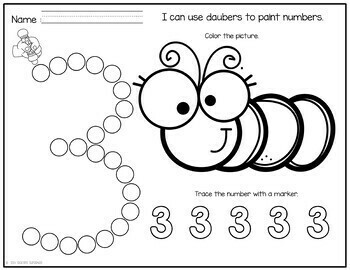 Your students will enjoy these super cute Spring themed number practice pages. This activity will allow your students to practice numbers using bingo daubers or crayons. 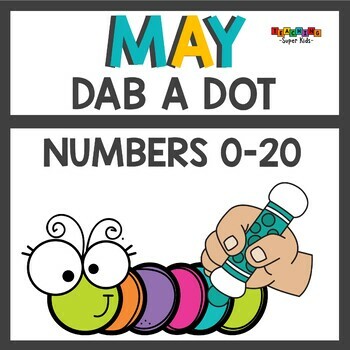 Students will create numbers 1-20 by dabbing the number or coloring the circles in. 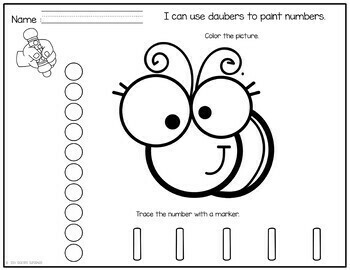 Simply print, add daubers and let them dab a dot! Can be use during small groups or whole group. 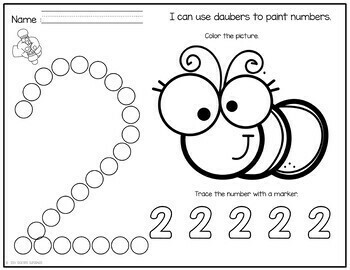 There is an area for them to practice tracing the number as well as coloring in a picture that corresponds with the number!